The Sobriety Home approach to alcohol and drug addiction is holistic, taking into account the whole of the person. 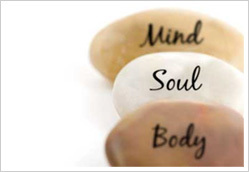 Sobriety Home individualized treatment plans encompass the mind, body, and spirit. Our specialized team moves beyond simply treating the physical addiction, to treat the person inside. We seek to heal the many underlying causes of your addiction, from family dynamics, coping skills, unresolved trauma, to stress, social anxiety, and anger management. A founding tenet of our addiction treatment program is traditional cognitive therapy, both in an individual and group setting. However, we also recognize the benefits of non-traditional therapies for some of our clients. At the Sobriety Home Drug Rehab & Alcohol Addiction Treatment Center we care about finding the drug or alcohol treatment program that will facilitate athe best results on your personal journey to recovery. Although we explore a 12-step program, we believe that it is not the only way to becoming your true, sober self. Although it may feel like it sometimes, you are not alone in your addiction. You are, in fact, surrounded by a core group of people who love you and support you unconditionally. At Sobriety Home, we believe strongly in incorporating your loved ones into the healing process. Addiction treatment programs that engage family members and other loved ones have proven to be more successful, and more likely to be sustained post-treatment.